Some think that a form of a primitive parachute was mentioned by Chinese texts 21 centuries ago. In 9th century Abbas Ibn Firnas and Ali Ben Isa (of Arabic origin) also created one of the earliest versions of a parachute which John H. Lienhard described as "a huge winglike cloak to break his fall". 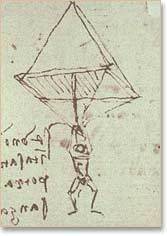 A conical parachute appears for the first time in the 1470s in an Italian manuscript, slightly preceding Leonardo da Vinci's conical parachute designs. It was intended as an escape device to allow people to jump from burning buildings, but there is no evidence that it was actually ever used. 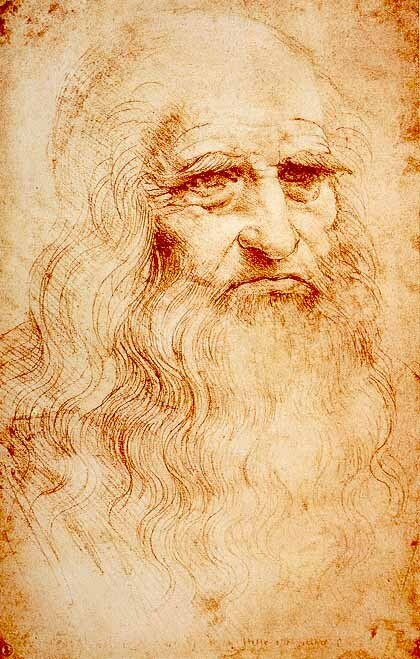 Leonardo's parachute consists of sealed linen cloth held open by a pyramid of wooden poles, about seven metres long. In his notebook he remarks that with such a device anyone can jump from any height without injury. The absence of a harness suggests otherwise, but tests at the time would have been limited to trees, towers and cliffs.